You are probably either a small business owner, or someone in an administration or marketing role who has been tasked with “looking after the website”. You may have an existing WordPress website, that was developed for you (by a friend/relative or developer who didn’t teach you how to use it properly).. or you have an old website that you are embarrassed about, or that is not generating the leads/enquiries/sales that you had hoped… or maybe you don’t yet have a website, have realised how important it is to have an effective online presence and have heard that WordPress is the best tool to use for creating and managing your own website. We have a strong background with web development going right back to the early 1990’s (yes the web really did exist then). We have running a Brisbane SEO Agency since 2001, and the Brisbane SEO Meetup since 2007 (before Meetups existed) and have extensive experience with Search Engine Optimisation, Search Engine Marketing, Conversion Optimisation, Analytics, and Online Marketing. 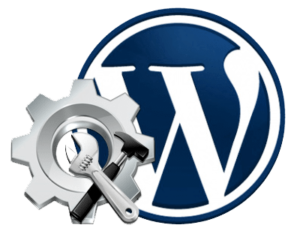 We have have been using, training and consulting in WordPress since 2005 (WP was released in May 2003), have created hundreds of WordPress Websitses and trained thousands of WordPress Users.